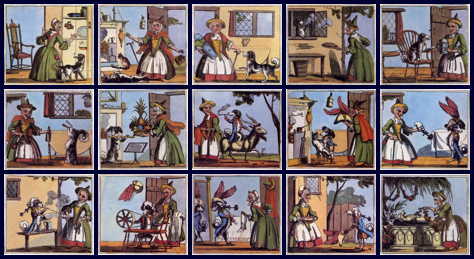 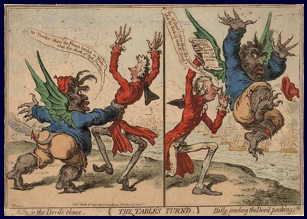 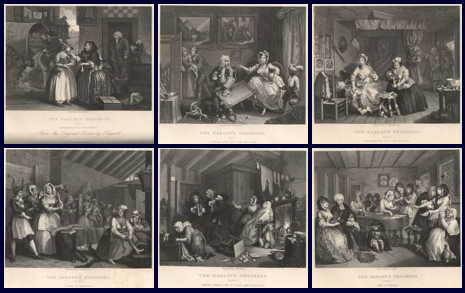 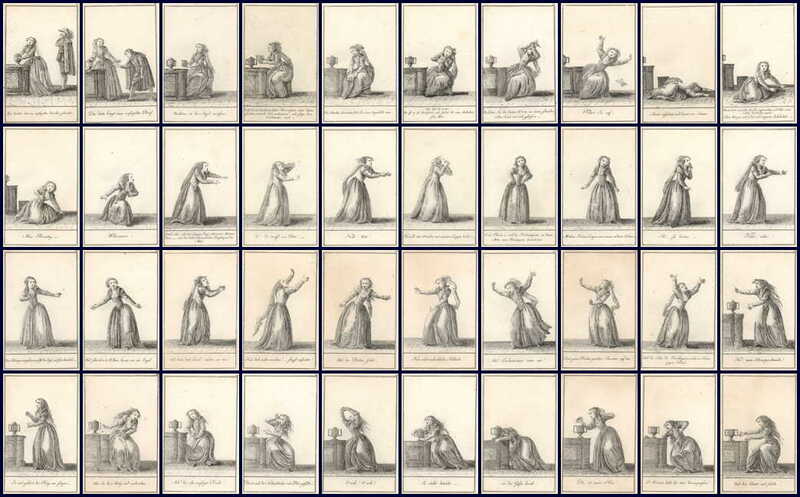 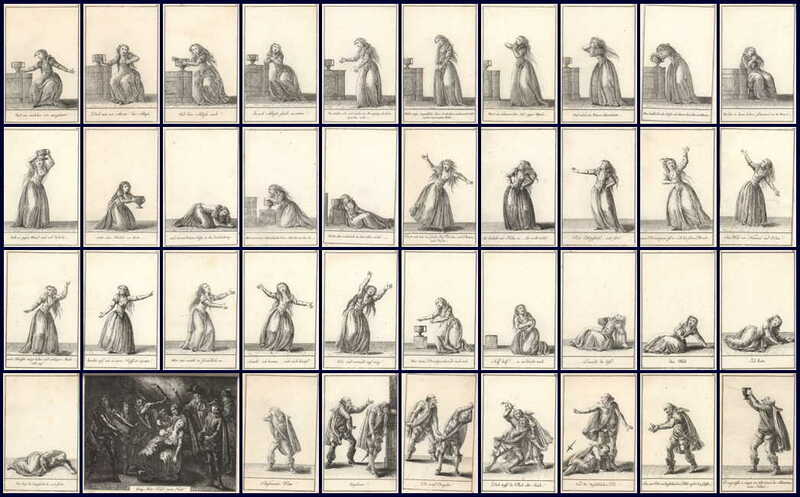 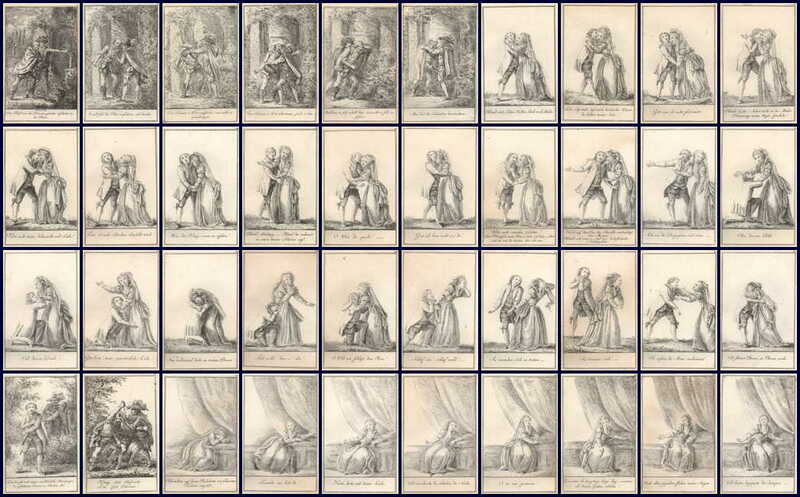 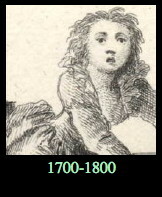 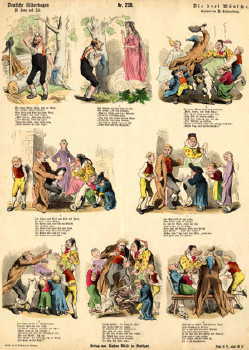 The famous 'progressions' by Hogarth were not actually comics. 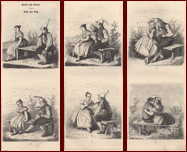 The images don't lead into and don't interact with each other. 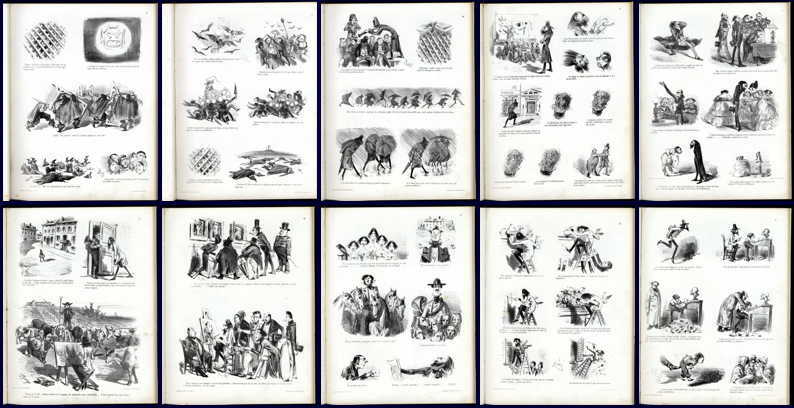 Each shows a distinct, separate stage of a longer story. 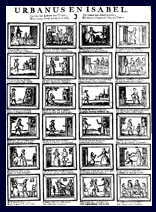 However, because of their great popularity, they established the very notion of telling entertaining stories with a series of pictures and so became a highly influencial stepping stone for future developments. 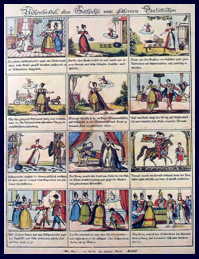 'Histoire de Mr. Vieux Bois' Original manuscript version of Monsieur Vieuxbois, 1827 (30 pages/158 panels) with text typed out underneath, and a translation. 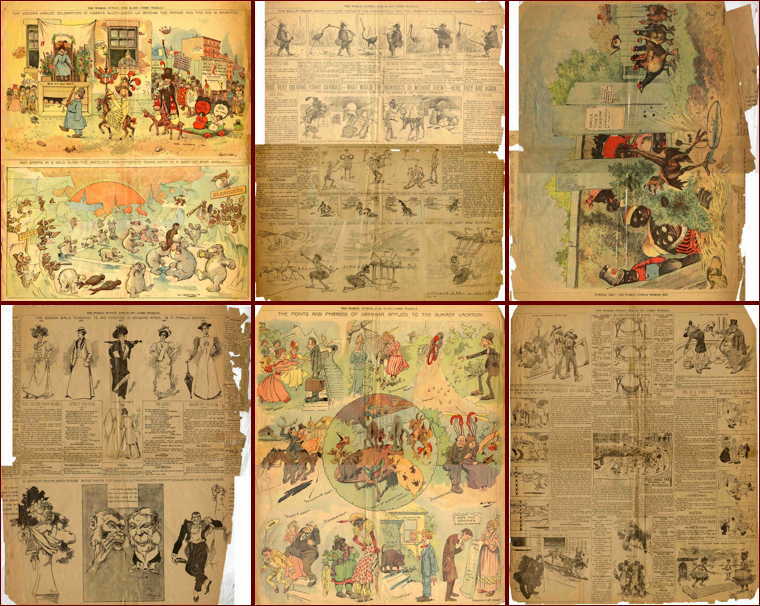 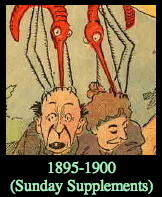 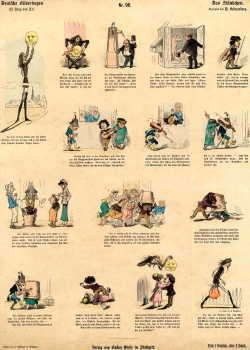 The first printed edition was published ten years later, expanded to 88 pages/198 panels. 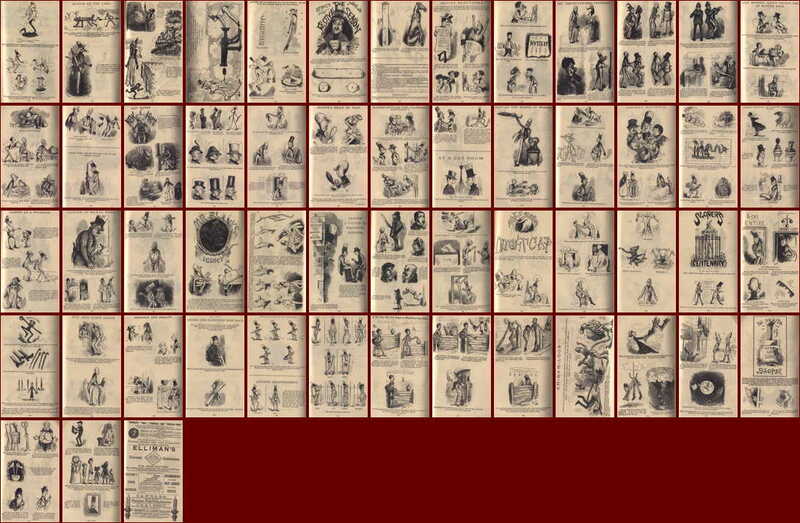 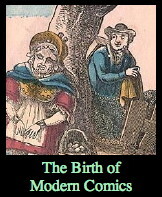 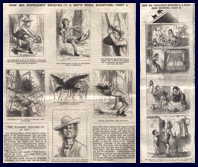 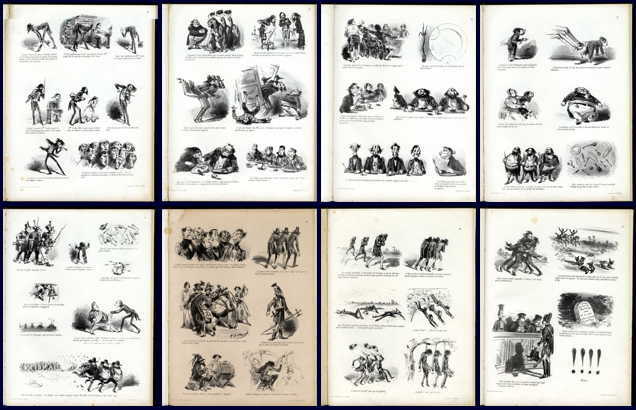 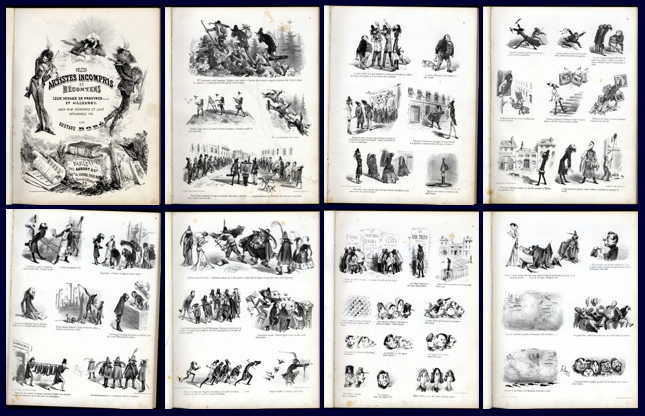 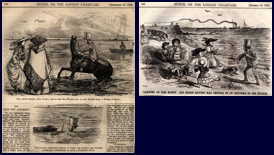 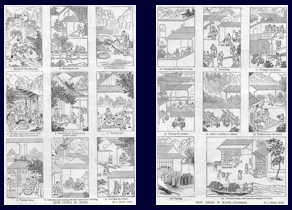 The second edition 1839 (as presented above on my own site) had 92 pages / 220 panels. 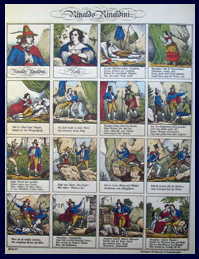 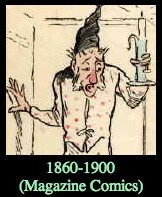 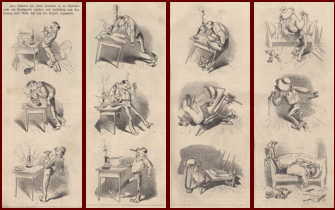 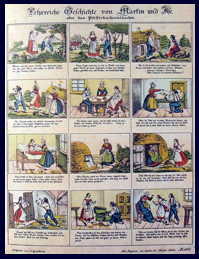 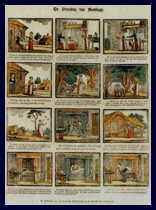 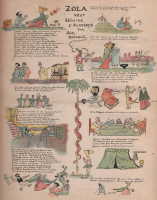 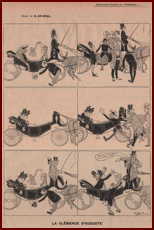 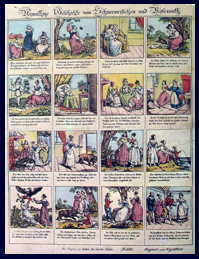 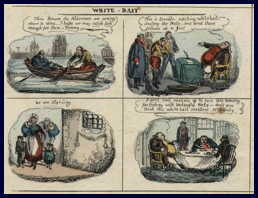 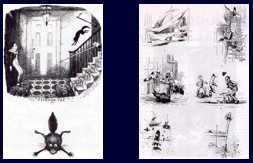 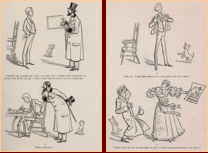 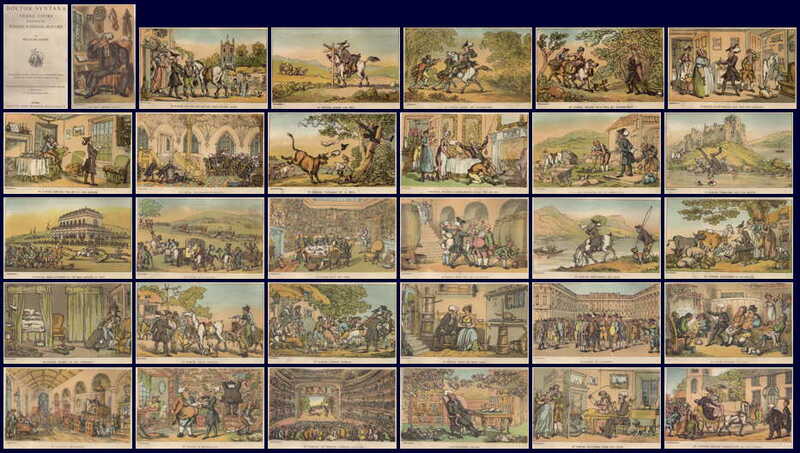 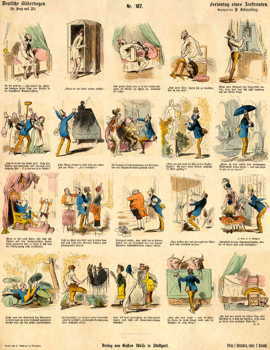 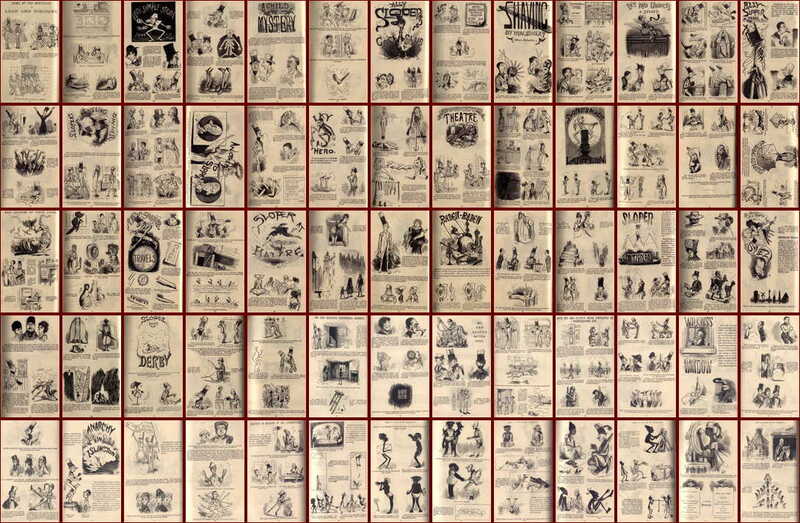 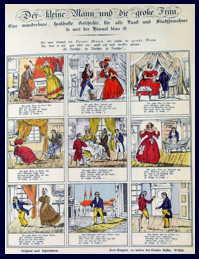 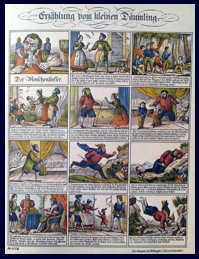 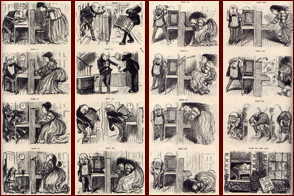 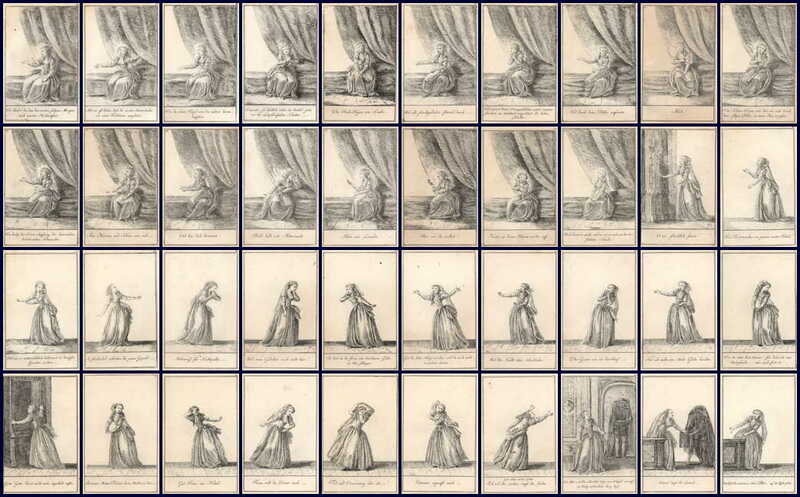 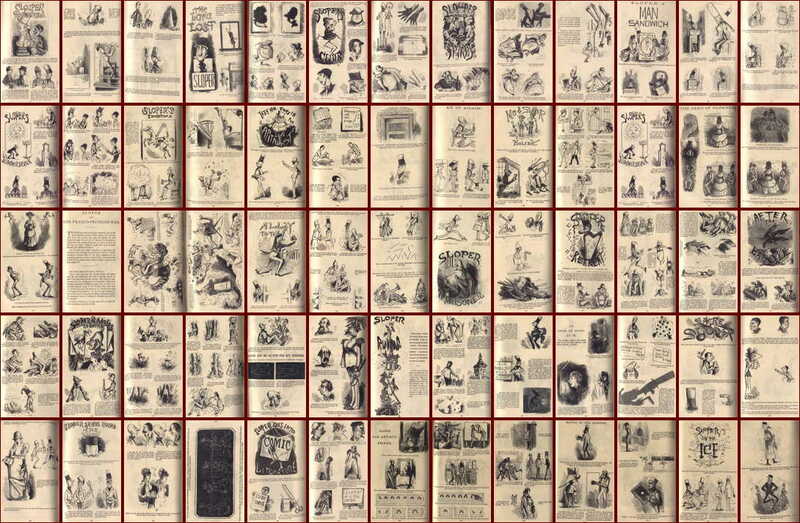 'The Progress of Mr. Lambkin' (1844) A story told in 25 tableau-type pictures. 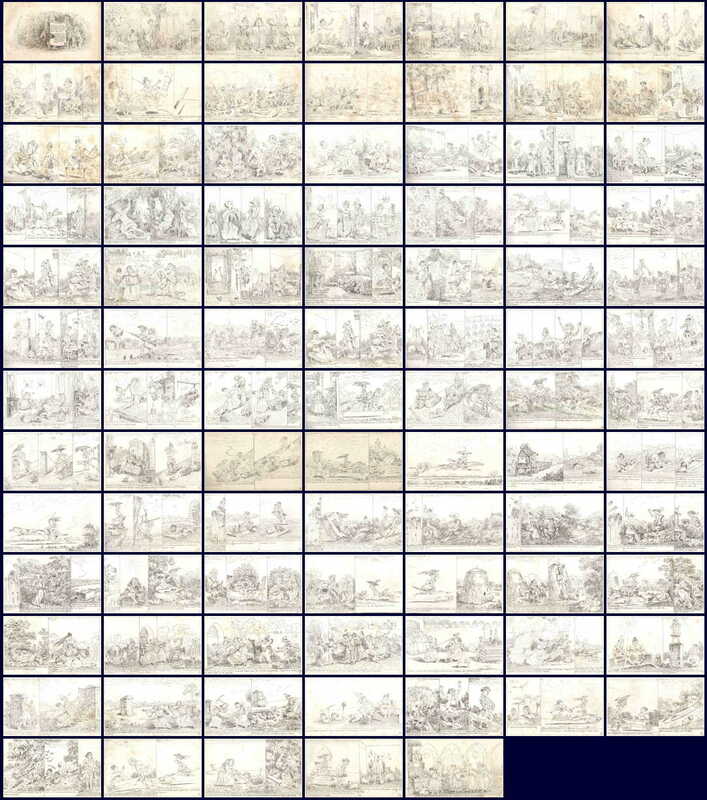 Nice large scans. 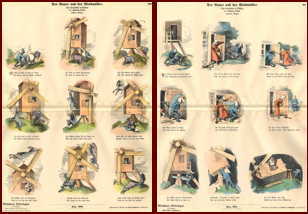 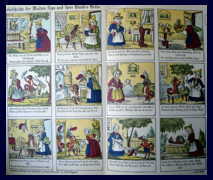 Album Noel (all) 1900 (collecting work from previous years) (This link presents all the pages from the book in one go. 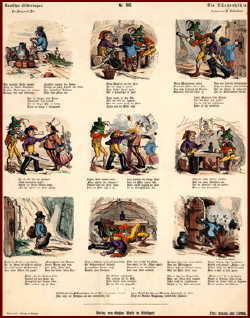 Most of them are also listed separately by author). 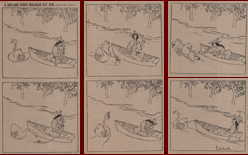 This is only partially a picture story (ie comic). 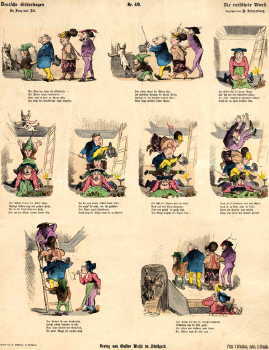 But it shows a different way how the Struwwelpeter influened picture books. 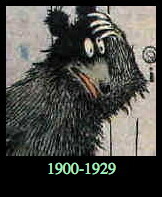 Also, it's a precursor of McCay dream-stories, with equal visual brilliance. 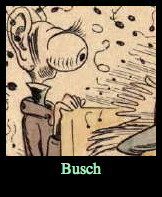 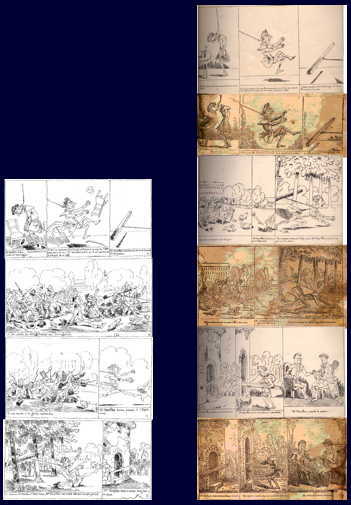 This page shows how much Christophe was influenced by German cartoonists. 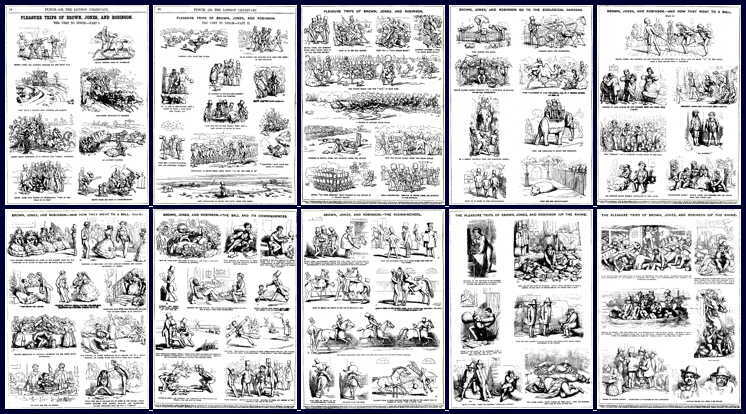 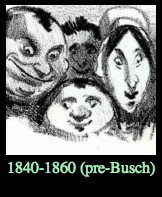 Wilhelm Busch's Icepeter motiv is turning up again, and more directly the various dwarf stories by Lothar Meggendorfer or Johan Bahr. 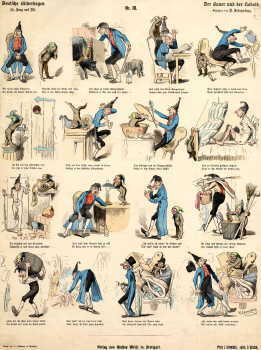 Le Duel Pini-Thomeguex (Le Rire, 11.Mai 1895) Cartoon with a speechballoon, influenced by Caran d'Ache. 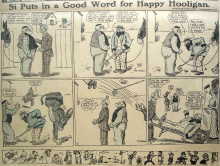 A forerunner of McCay's dream comics !!! 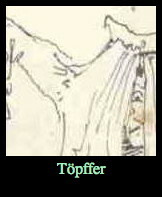 760 - - 'The Stolen Cigar or The Monkey who got it in the Neck' Tucker ? 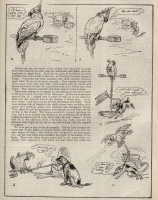 Eventually there should be a section presenting this crucial period in more detail. 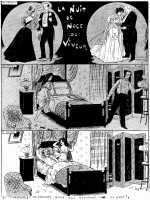 At the moment I don't have sufficient material. 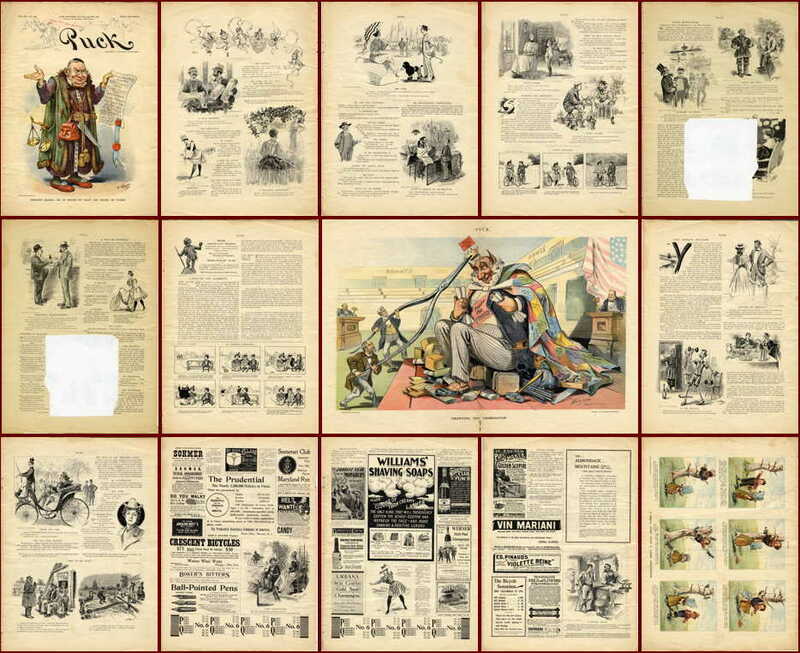 Magazine comics from that time will remain in the preceding section.